made by http://www.wildbillcody.com to evaluate. It looked good and fit well on my new wood, well the other day I got a final production model. The fit is still good the finish is smoother and looks even better! on some other military rifles. 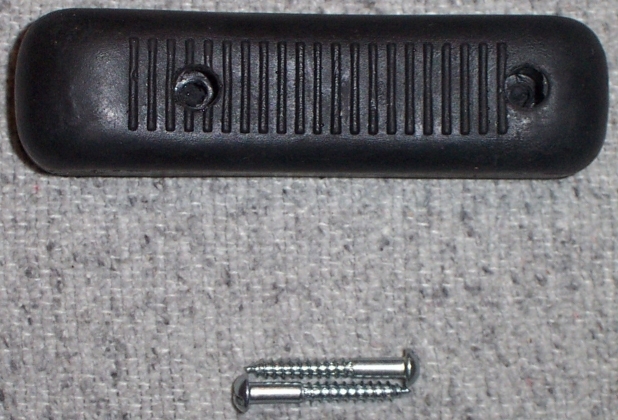 The CETME buttpads most of us have are rather hard due to age and the compound used. These new pads are slightly softer and alot more pliable and should help to reduce the already light recoil. Here are some images of the buttpad installed and a comparison of the original and the new "WBC CET01"
Which is a great deal for great looking Cetme Modelo C Pad! So the CETME Modelo C buttpad get's a 5 star rating. September The AWB is Gone! Now you go here to get a unissued bayonet on the cheap. and Smoky Mountain Knife works has them. Made to fit either FR7 or FR8 Mauser. NOW ROBERT HAS GOT NEW ROLLERS AT A GREAT PRICE! +2 and +4 Rollers are available at a great price from RobertG just what the Dr. ordered to fix those headspace issues! The tip for January was to be careful with the new CETME coming out. Some of them have a ground Locking Piece and I have been told are potentially unsafe. I would take it to a Smith familiar with HK products and have it checked to be on the safe side. Warehouse find! This genuine bayonet was made in Toledo, Spain. It fits the FR7 and FR8 Spanish mausers. ·Black and green composition belt sheath. This months is still TAPCO and the G3 Mags this is a hard one to beat! Oh and CETME Mags are $3.99! 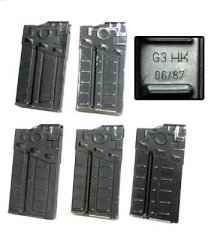 Tapco has the best prices on CETME Magazines and NOW G3 MAGS! Last check they were $3!!! !